Risuona. The piece of wood that amplifies. 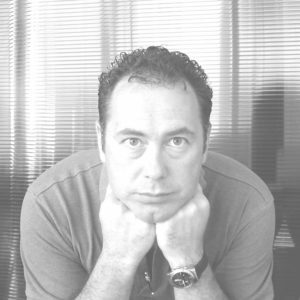 Simply said, Risuona is a piece of wood that amplifies. Designed by Ubaldo Samuelli, Risuona is the first high-end consumer product in the portable speaker category to operate on the physical principle of acoustic waves. 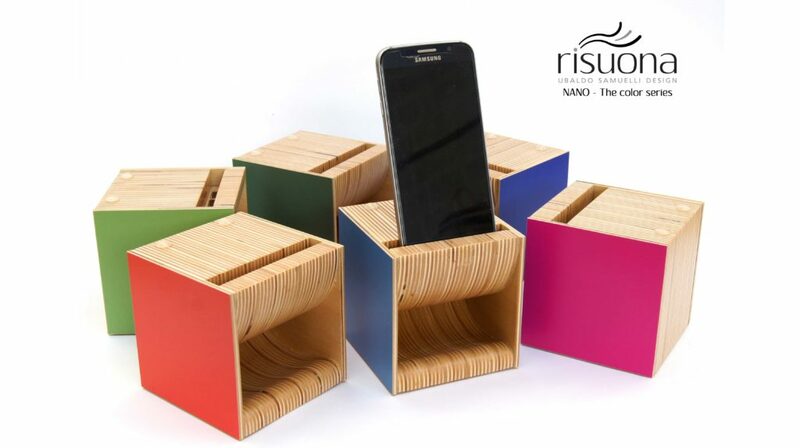 Exploiting this principle, Risuona allows natural smartphone speaker amplification with an extraordinary sound quality. Minimal and smart design. Recyclable & renewable materials, zero energy consumption, environmental & social sustainability, handcrafted Italian design. Every piece is unique, carefully selected and handcrafted to perfection. Energy efficient. With no power source or batteries required, Risuona has a zero energy consumption. Easy control. 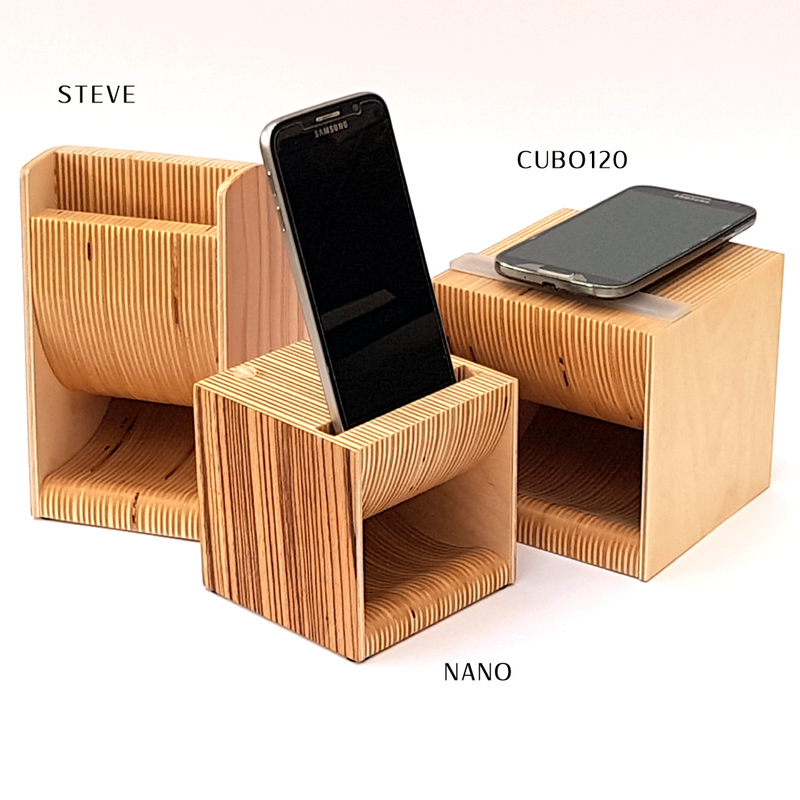 Vertically insert your iPhone inside the smartphone holder and enjoy the hi-fi audio. No Bluetooth or Wireless. Risuona operates on the physical principle of acoustic waves, so no Bluetooth is required: you can control your environment audio simply from a masterfully handcrafted piece of wood.